Leaving your site untouched for six months at a time is downright dangerous. Soon after I landed in Las Vegas, I started networking. Specifically, I attended a mixer, shook some hands, and picked up more business cards than I could handle. Then I visited the websites on those cards. To put it bluntly, I was pretty disappointed. In this post, I’ll provide a few tips for small business owners as they build their websites. Your logo is one of the most important aspects of your site. It’s tough to effectively brand your company without one. But think it’s too expensive to have a logo created for you? Well, you’d be surprised. Sites like eLance allow you to receive as many bids as you like. Tip: Make your logo your favicon and embed it in your email signature. You don’t have to use an expensive and sometimes overwhelming tool like Adobe DreamWeaver to create a professional website. And you need not spend thousands of dollars on a developer. Many free and open source tools are extremely user-friendly. I’m a big fan of WordPress, but there are many others. Joomla!, Drupal, and SquareSpace are just a few of the simple-to-use development platforms out there. Tip: Get a real domain. You may save a few dollars with something along the lines of www.yahoo.com/philsimon (not a real URL). But is that name really going to project a professional presence? So while you’re at it, get a real email address also. [email protected] makes you seem like an amateur. I’ve seen this many times before. 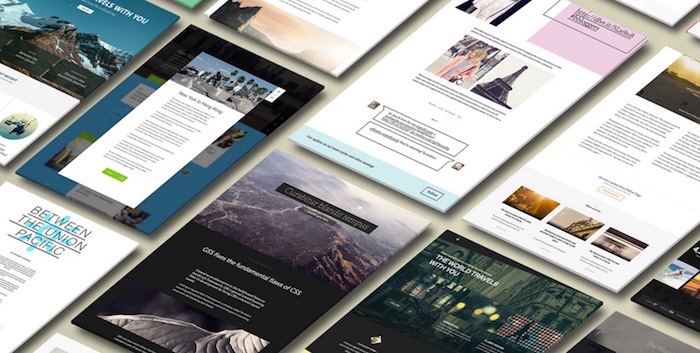 A current and well-designed site launches. A few years later, it’s clear it hasn’t been touched again. The site is dated and lacks remotely current or relevant information — and key functionality. For instance, four years ago there weren’t many sites integrating different social media sites because, well, social media hadn’t yet exploded. Now, links to Twitter, Facebook, Google+, and LinkedIn are critical and so easy to add. Tip: You don’t need to update your site every day (and I can think of 20 reasons not to), but leaving your site untouched for six months at a time is arguably just as dangerous. Think security or virus updates. There are many excellent Web design books and magazines out there. Pick one up. Experimentation is essential. You’re going to make mistakes if you take a hands-on approach to website development. And that’s just fine. You’re going to learn and improve your development skills. Tip: There are many excellent Web design books and magazines out there. (Don’t Make Me Think, Revisited: A Common Sense Approach to Web Usability is a great one.) Pick one up. Lastly, too many sites are just too busy. Owners try to cram everything onto one or two pages and end up losing sight of what is most important to a visitor. If you have a great deal of content on your site, think carefully about how it should be organized. No one is going to take the time to check out your site if they can barely read the words because your font is ugly and your text size is 7-point. Tip: Err on the side of minimalism. My friend Scott Berkun’s site is simple, extremely readable, and easy to navigate.